My good buddy GM JUCE asked if I'd write a guest blog, Naturally, I said yes! So,as I filtered through my brain about what should I write about: The One Shot Group, Adventure ideas, System mechanics, Character ideas, Trying different games, Blah Blah Blah. I decided to write about the most important thing of all to me concerning tabletop RPGs: Why do I love them and why everyone should try it at least once. Now, I have to go back a little into my history. I, like probably everyone reading this, have many interests in life. I love many, many different things, most of them have to do with creativity. I play multiple instruments, I draw and paint. I make videos. I make computer graphics. I build musical effects pedals. I cook, Build and refurbish furniture. I weld (yes that's an art) I can sew, and recently got into crafting for RPGs. That's only a quarter of my interest (Video games, Martial arts, Science, Comics, Anime, Surrealist art, Nature and on and on) So, a few years ago, about 3 or 4, I had an epiphany. It was a year or so after my daughter was born.I realized that, one day I won't be here anymore. Rather than waste another day thinking about creating things, I would spend everyday actually creating things. Even if it is a little doodle or a short guitar riff, I need to stay active in creating something. And, I have. Everyday since that pact with myself I have done just that. It usually comes naturally so it isn't hard to maintain a daily creation. Sometimes I used to have to remind myself but now it just happens. Is it obsessive? Yes. That is my personality. If I get into something, I really get into something. It doesn't mean I don't enjoy things because I'm worried about all the details. I'm not clinically Obsessive. Maybe. There are a lot worse things than being obsessed with creating everyday, anyway. I know that I've become kind of the joker of the community and everyone who knows me in real life would say the same. I really don't try to be silly, I just am, I guess. I can be very serious but like I said before, I like people to be happy. I think sometimes people take gaming into places it doesn't need to be. Seriousness is required in some games but not in all. That's the beauty of this hobby, everyone is allowed to, and encouraged to be individual and shine as that individual. I love how there are thousands of ways to play a Dwarf Fighter or investigator or Cybernetically enhanced zombie vampire llama convenience store cashier. All based on the individual player. No other game allows that kind of accommodation. Video Games, Sports or Monopoly all have some sort of tighter constriction on players, there's nothing wrong with that, I'm just making a point. And RPG video games are an emulation of real life RPGs. There are still stigmas surrounding RPGs, so, it can be hard to convince non-gamers to try it out. Which is funny because everything that was considered "dorky" when I was a youngster is now widely accepted. 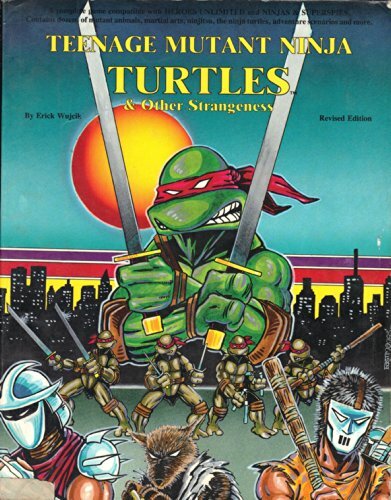 People of all ages play Video games, know who the Avengers are, Spiderman, Batman, Lord of the Rings, Super Mario, Doctor Who, Superman, Star Trek, Star wars, TMNT, and on and on and on. Most people have heard of D&D, at least, but still hold a prejudice towards it. Why is that? What makes it so different from all the other "nerdy" things that are accepted now? Are people just so mentally lazy that if it's not on a screen then it's to hard? Is it that people just have no idea how it works? Are people intimidated by the seemingly elitist crowd? Are people afraid of Math? To let themselves become vulnerable and drop the maintenance of outward appearance? Are they afraid of fat sweaty dudes in basements with bags of Doritos and Mountain Dew? Worship Satan? Well, all of us gamers know that while some of this is half true, in general, none of it is. Do YOU feel playing tabletop role-playing games are beneficial for people? Do You feel they have helped you grow in a positive way? Do You simply have fun with them? If the answer is yes, then I challenge you to help break the stereotypes of our beloved hobby, by showing your favorite book reader, artist, writer, Video gaming, comic and anime watching, non-gaming "Nerdy" friend or family member, what this is all about. You know there is someone who would enjoy role-playing if only they would try it, right? This simple game is a great step in humanity, we literally put ourselves in the role of another person and surround ourselves with real humans that do the same. The more people that play, the more people we have to play with. So, anyway, I love RPGs. I think it has so many positive things to offer, I think everyone should , at least, try it once, just once. Maybe twice. There is a game for everyone out there. Whatever your strengths, weaknesses, likes or dislikes are, there is a game perfect for you. Just try it. DO IT! One last thing: Players respect your GMs and GMs respect your players. We have nothing without each other! OH! I'm not usually this introspective, if I do this again, it will be about something useful:) or funny at least.